Trax Records looks back on its 25 year history. It has many names: acid, boompity, jacking, but in the end, it’s all house music. And house began with Chicago’s Trax Records. Evolving on the storied dance floors of South Side clubs like the Warehouse and the Muzic Box in the early ’80s, house music came into being as DJs like Frankie Knuckles and Ron Hardy were amplifying the rhythms and low end of disco and upbeat soul with stripped-down beats-and-bass backing tracks. 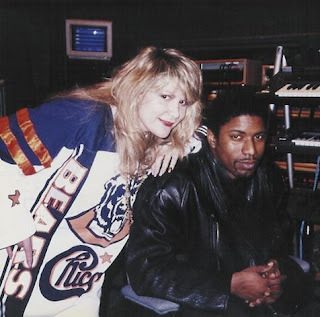 Recognizing the music’s potency, youthful scenesters like Jesse Saunders, Vince Lawrence and Rachael Cain gave those minimalist tracks their own voice, seeking out a pressing plant, Musical Products, and its owner, Larry Sherman, to help release them. It was 1986 and those minimal four-four beats hadn’t yet been dubbed house, but this trio (with financial backing from Sherman) had started releasing the “Chicago sound” through Trax. Soon, artists like Adonis, DJ Pierre and Marshall Jefferson were signing their groundbreaking work to the label. 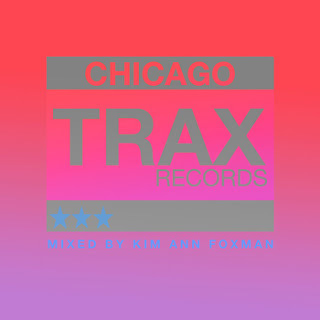 Last month, the label commemorated its legacy with Trax Records: The 25th Anniversary Collection, a two-disc set that includes more than a dozen hidden gems from its catalog and a documentary covering Trax’s early days, the sound’s explosion overseas, and the hope of Cain, the label and its artists that Chicago will get proper recognition for birthing house music. Cool article! What's the name of the documentary that's coming out and when will it be out? There hasn't been a proper documentary for Chicago's hay day i feel like (or even Detroit for that matter). But nice ones about New York like, Maestro. Hey Fluxes, thanks for the kind words! When I spoke with Rachael and the crew back in October, the doc was still for press eyes only. I just revisited the link I was sent but it seems the content has been moved. Rachael's PR guy, Jorge Cruz might know more. I'd head to the Trax website and reach out from there. Cheers.